Tired of experiencing the same negative cycles in your life? Do you want to break off shame, change some habits, and grow in confidence? 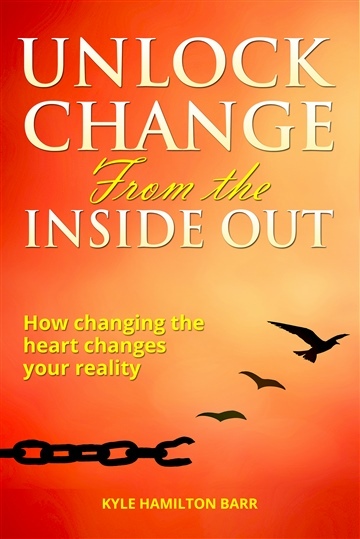 "Unlock Change from the Inside Out" will give you 11 powerful keys that will transform your life! These keys are guaranteed to not make you a better version of yourself. Rather, they will transform you into an entirely new you- empowering you to walk and live in ALL that you were created for. Get this booklet if you want to take a forward step that will propel you into greater strength, confidence, wholeness, and freedom. Kyle is a writer and blogger, musician and composer, actor, baker, and artisan. His love for the arts constantly pushes him beyond his comfort to experiment in new areas of creativity. Kyle's personal mission in life is to continually encounter the beauty of Jesus and to minister to God in worship and intercession in the house of prayer. From this encounter, the arts then carry an anointing to bring many into their own transforming encounter with their Creator. He wants to see the arts impact all realms of society--all races, all cultures, all peoples, and all nations.